A position has become available for an RVN to join a well equipped practice in Wadebridge, Cornwall. The practice are an 85% small animal 1st opinion practice. You will be working alongside surgical and medical diploma holders in a spacious purpose built premises where your work is respected and valued. We are looking for an enthusiastic Head Veterinary Nurse to join a busy branch based in Helston, Cornwall. You will have previous experience in a similar role. We have a job opportunity for a farm Veterinary Surgeon to join a friendly practice in Cornwall with the potential for part-time and flexible working. We have a job opportunity for an equine Veterinary Surgeon to join a busy practice in Sunny Cornwall. Part-time and flexible working actively encouraged which benefits you to that great work/life balance. A happy enthusiastic small animal team are looking for a colleague to join them in the heart of beautiful Cornwall. There is a competitive salary and great benefits package on offer for this role as well as a great rota. We have a great opportunity for a Small Animal Vet join a well established practice in Cornwall. You will join a team a friendly team of 4 vets, 3 RVN’s and support staff. The right candidate would have great communication skills and strong routine surgical skills. An interest in imaging is a plus. A new opportunity has arisen for an enthusiastic Veterinary Nurse to join a friendly practice in Cornwall. You will be joining a team of 2 full time vets, 2 part time vets and 3 RVNs. The practice can also offer the opportunity to develop skills and knowledge, encouraged and funded CPD as well as company benefits. An exciting opportunity has arisen for a veterinary surgeon to join an enthusiastic small animal team in the heart of beautiful Cornwall. We have a new and exciting opportunity for a farm Veterinary Surgeon at a friendly practice in Cornwall with the potential for part-time and flexible working. We have an exciting job opportunity for an equine Veterinary Surgeon at a friendly practice in Cornwall. Part-time and flexible working actively encouraged. 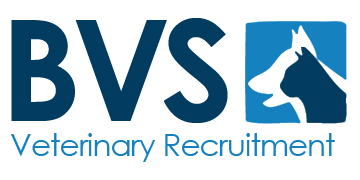 A great opportunity has arisen for an RVN to join a practice in Cornwall. The practice is an 85% small animal 1st opinion practice. You will be working alongside surgical and medical diploma holders in a spacious purpose built premises where your work is highly respected and valued.  A new position has arisen at one of our practices for a Head Veterinary Nurse in Cornwall. We are looking for a friendly and confident Head Nurse. You will be working along side a team of passionate vets and nurses. A busy and expanding Veterinary Practice in Cornwall are looking for a full time veterinary nurse. You will have the opportunity to work with a passionate team of vets and nurses and progress in your career. You must be qualified and registered. For more information, please contact me on 07776213483 or email sam@bvsvets.co.uk. We are looking for a confident TB Tester in Bodmin. No oohs or weekends and a lovely client base to work with! Car provided. As well as this position I have some great perm and locum roles in the area, so don’t hesitate to get in contact. A progressive practice in Launceston are seeking a highly motivated, enthusiastic individual with good communication skills. This position is full or part time, working in an excellent environment with a friendly and driven team. Good rota and excellent salary on offer. A new position has arisen at a family run, independent practice in lovely Cornwall. Fantastic rota with only 4 days a week and no oohs. Facilities include a fully equipped operating theatre, X-ray and ultrasound facilities, Electrocautery facilities and in practice lab. An enthusiastic, small animal RVN is required to join a small animal charity practice. No OOH, 1:5 Saturday mornings. Excellent facilities - ultrasound, digital x-ray, endoscopy, full laboratory. A Tier 2, friendly SA practice in beautiful Cornwall, are looking for an enthusiastic full time vet to join their team. No OOH and Saturdays on a rota basis with the usual diagnostic equipment, a loyal client base and a team of dedicated RVN's. Own caseload is encouraged and there is an opportunity to develop skills and interests. We are looking for someone who is confident with routine surgery but we would also look at confident graduates as well. We are now looking for a permanent Vet to join a wonderful practice that has recently under gone refurbishments. The practice is family run and independent, with a loyal client base. They have excellent facilities including digital X-Ray . No OOHS and a 1:4 Saturday morning. Clinical Director opportunity is also available for the right Vet. For more information please contact Sam on 07776213483 or email your CV to sam@bvsvets.co.uk. Friendly RVN required for mixed practice in Cornwall. This is a small animal nursing role, however there is limited opportunity for equine and/or farm if desired! Excellent 4 branch practice with wide ranging facilities. 40 hour week. CPD encouraged and funded. For more information please contact Sam on 07776213483 or email sam@bvsvets.co.uk. A long established, mixed practice, is looking to expand their team, and bring on a friendly and motivated Vet. The practice is located in a lovely part of Cornwall and has a loyal client base. They have fantastic facilities a provide a high standard of clinical care. They are an RCVS Accredited practice. We are looking for someone who has a good level of experience and that can work well with the team.